Joe and Shawna have been serving with Cru (Campus Crusade for Christ) since1995. Shawna teaches at Poudre High School, and is an associate staff member at Cru. Joe is the National Director of Field Operations for Valor. Valor is the Cru ministry for college and high school ROTC cadets and midshipmen, veterans on college campuses, and cadets at foreign military service academies. strengthen their faith, and SEND them to reach others. The purpose of Valor is to launch movements where the Gospel captures hearts, transforms lives, and launches future leaders and experienced veterans into a lifelong adventure with Christ. We desire to raise up generations of future officers who will bring the hope, love and justice of Christ to the world from a heart centered on Him. Dale and Sara Lusk , children Sawyer and Collette. Dale is the founder and executive director MERGE, a ministry of Serve Globally. We started in 1993. MERGE utilizes mission teams to encourage local churches and enhance what they are doing in their communities. Our primary objective is to give Covenant churches from around the world an opportunity to partner with other world churches. We desire partnerships for a week or longer. The visiting team is not doing things FOR the local church or in the church, but WITH them. The focus is on ministry outside the local church; in the neighborhood and surrounding areas. Our ministry is Christ-centered and Kingdom furthering, not just a learning activity or social project. Community ministry can be discouraging, frustrating, and tiring– a goal of the team’s visit and partnership is to encourage the local church pastoral staff, leadership and members by being with them in ministry. In order to do this, relationships need to be established. The local church community ministries will be more successful as a result. Stuart and Jeni have been serving 30 years with CRU. 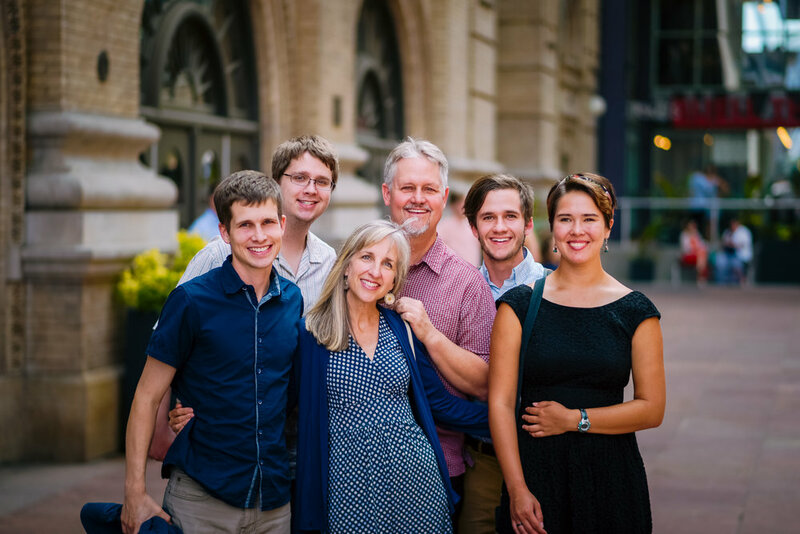 Now they are with CRU City – Reaching the nations in our own backyard. Our desire is to connect Jesus followers to peoples from all over the world who are seeking to make a new life in Colorado. Our heart is for all immigrants, but we are focusing on refugees and their unique needs. The Church has an unprecedented opportunity to extend the love of Jesus to a specific group of marginalized human beings who generally have experienced profound suffering. We seek to mobilize and equip believers to sensitively cross these cultures in our cities so that Christ might be known, and the intrinsic value of human beings would be restored. We also continue to be involved in CRU’s ministry in Central Asia, where we lived for 19 years. T and B, after 10 years of field experience, now work with the US office for Frontiers. T is the director of recruiting and mobilization for the five Pacific Northwest states while B counsels and coaches couples and young women headed to the field as a Field Prep coach. Their heart’s desire is to see whole and healthy followers of Jesus go to the hardest places on the planet. God is calling many workers to the harvest especially among M unreached and unengaged people groups. They are also heavily involved with helping local churches engage and minister to M refugees and international students in the major cities of the Pacific Northwest. Frontiers is an international organization working only in the M world sending teams of professionals to places where the Good News of Jesus is least accessible. They have teams in every M majority country in the world and several with large M minorities. There are over 1300 field workers from 22 different sending bases in 22 different countries. Welcoming refugees in Amsterdam with stories of hope, Matthijs and Patricia meet refugees from Africa and the Middle East. Many have been through war and have made a dangerous journey to reach Europe. They are homesick for their family and friends. Many feel lonely and isolated. They need a friend and to know the hope that only Jesus can give. Matthijs and Patricia serve the refugees in practical ways, such as sharing meals and offering language tutoring. As friendships grow, Matthijs and Patricia listen to their difficult life stories and share stories of hope that pique interest in Jesus. 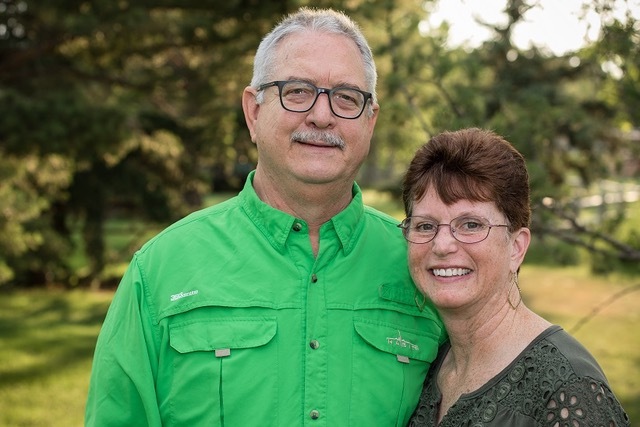 Linda and Robin Windisch are serving with Cadence International as Hospitality House Directors. They will be in Wiesbaden, Germany, serving the soldiers and their families at the headquarters of the US Army in Europe there. A hospitality house is a home away from home and more. This means we offer our home to service members as a place to belong and a family to have. Throughout each week, we provide the context for meaningful relationships to grow: home-cooked meals, relaxing atmosphere, lots of laughter, Bible studies, small groups, service opportunities, and so much more. We aim to follow Jesus and help others follow Jesus. Scott has been on staff with the Navigators at Oregon State for the past four years reaching college students and watching their lives be transformed by the Gospel. Briana has been working as a registered dietician while volunteering her time on campus. This year we are transitioning to overseas ministry with the Navigators and Briana will be joining me on staff. We are pursuing a two-year internship working with international students in Amsterdam with the Dutch Navigators. The Navigators have invited us to engage in training and development to prepare for overseas ministry. We will be moving back to Colorado and are hoping to reconnect with all of you. We hope to be cleared to go in early 2019. The church supports several families that are serving in “the uttermost part of the earth” Acts 1:8. Please pray for them and contact the church office to know more about their wonderful ministries.